It is a unique idea that could possibility bring you a fortune and let your creativity blossom. This creative dream could be starting your own fashion brand, or to develop a new tech gadget that could beat the next iPhone. You have also summoned a team of experts, who would back you up and bring your creative idea alive. However, few or no bank is willing to fund your creative idea because you might lack experience on entrepreneurship, and it has become the obstacle that stops your dream to come true. Entrepreneurs found it very difficult to get sufficient funding to kick-start their business. 98% of business plans are rejected by Venture Capitals even if they get an introduction. Not only that, recession of current economy, and high unemployment rate has also make banks reluctant to fund the projects. 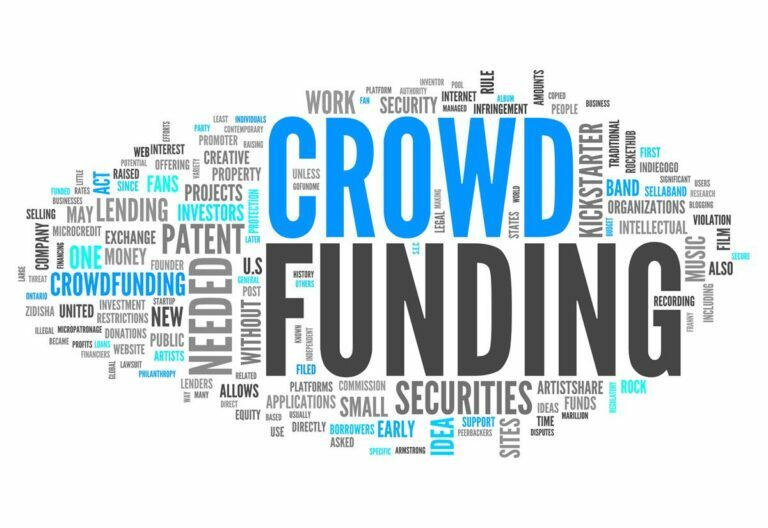 In order to get sufficient funding for your creative project, either it is an art project or creative project like smart tech gadgets, crowdfunding might be a solution for you. Crowdfunding is a process that allows large pool of people sharing same interest, or via social media to donate or fund creative projects submitted by entrepreneurs to crowdfunding sites. It is a great assets to fund different creative projects. Funder pledge the project in exchange of two major types of crowdfunding, including reward-based, which they receive the product and equity-based crowdfunding in which funders would receive shares of the company. Imagine how many art lovers you could possibly gather and to support your art projects with the power of social network in crowdfunding community. In US, there are a number of crowdfunding portal existing to help entrepreneurs, especially artists, to raise money for their creative projects. These crowdfunding portal has reached a huge funders networks, including Kickstarter, Indiegogo, Circleup.com and Gofundme.com. All of them have great track records of bringing successful crowdfunding stories for entrepreneurs. For example, Kickstarter has successfully helped Pebble to raise a surprisingly huge amount of money for the smartwatch. Pebble has eventually raised $10.3 million in 2012 and has been one of the most successful stories in crowdfunding industry. Not only that, these crowdfunding sites have also funded a great number of art project as well. To make your art project come to reality, crowdfunding is a great tool for helping your dream to come true. It allows you to let your creativity blossom and grow into an actual product. Money should not be your obstacle to reach your goal, try crowdfunding. And you, do you have any experience with crowdfunding? Would you be interested by a comparaison of the existing platforms ?